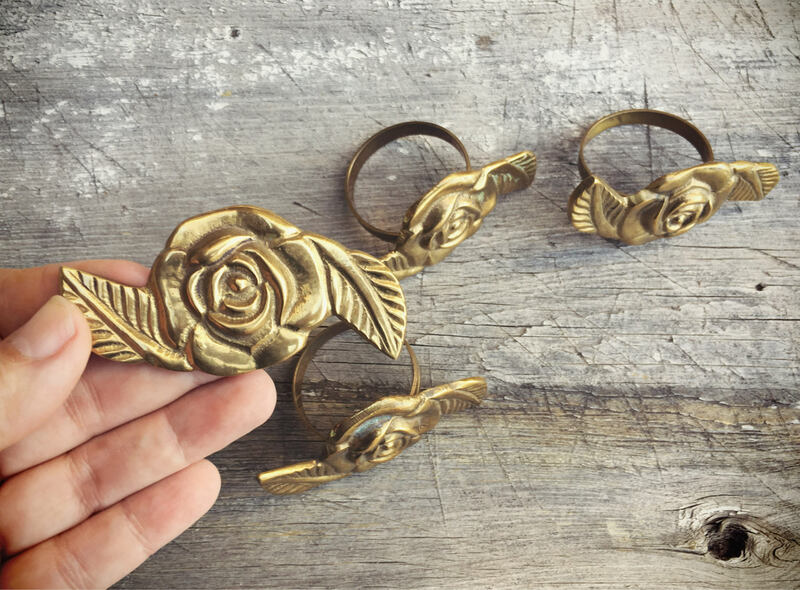 Four heavy brass napkin rings, solid the way that vintage treasures are solid. 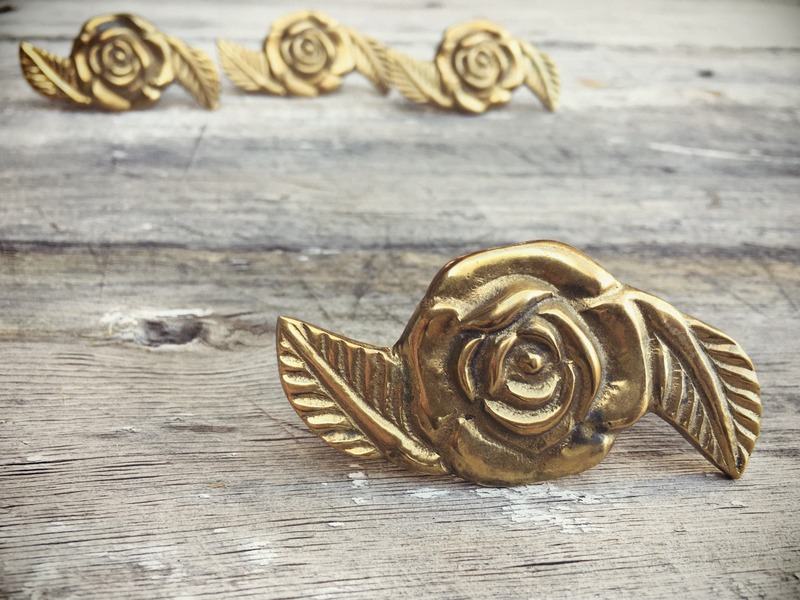 How elegant the rose is for an Easter or spring table, rich and shimmering. 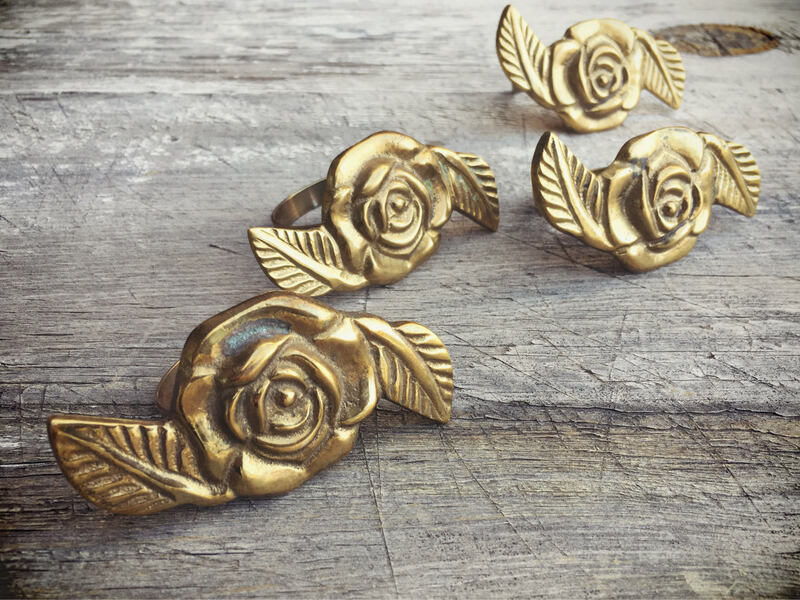 The napkin ring face--the rose--measures just about 3" across by 1-1/2" tall. 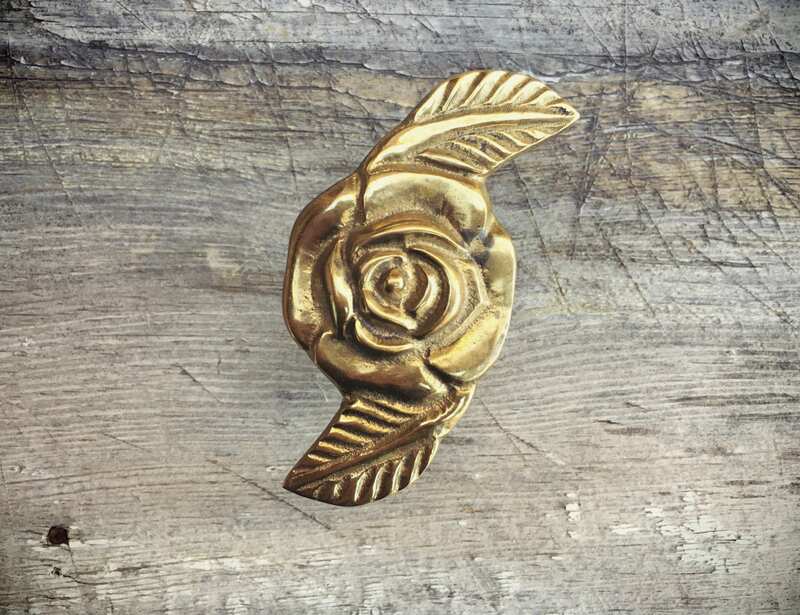 The rose carries patina from age, with some verdigris tarnish in the creases. 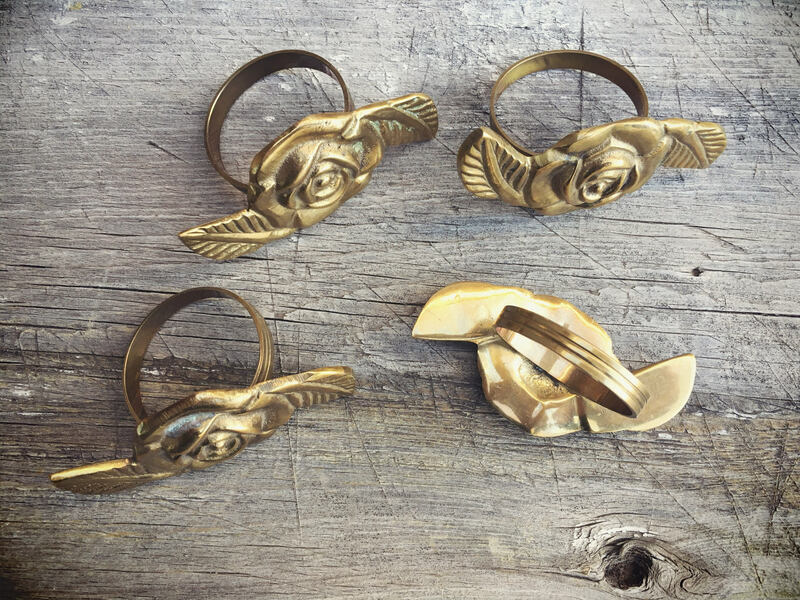 I think these will look amazing polished, but I will let the next owner decide to do so or not as the patina shows age. 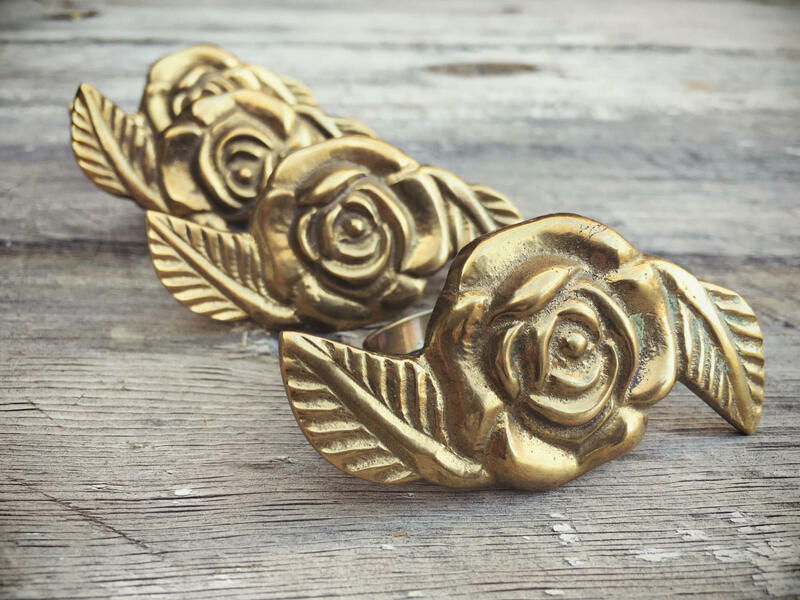 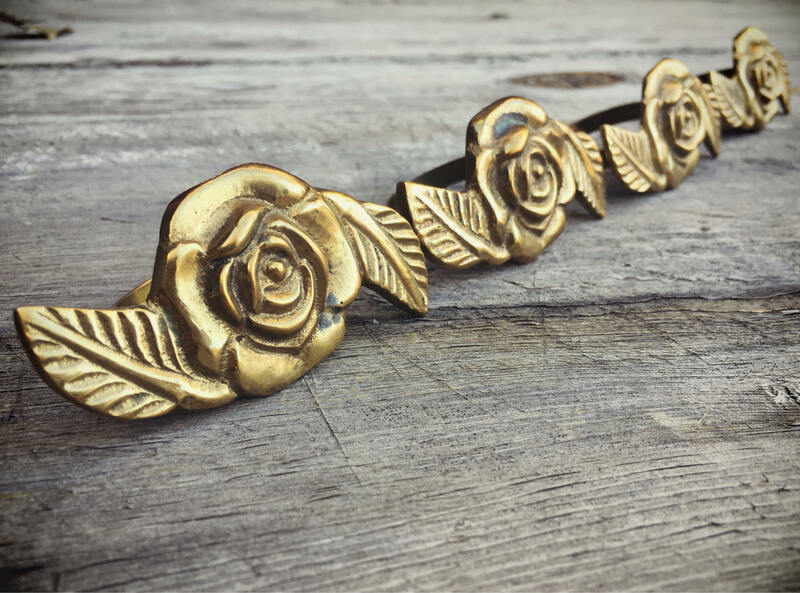 Because golden roses signal new beginnings.